What are the Benefits of Replacing Old Windows? Replacing the windows in your home may seem intimidating at first, but if you choose the right replacement window company, the process can be simple and stress-free. If you are having a tough time trying to figure out when to replace your windows, keep reading to learn some of the warning signs. If you notice that your window is sagging, meaning the frame is not straight but droopy, you should look to replace the window. Some of the other common warning signs include: if the sills/frames are soft or pliable; if there is streaking or moisture build up in between the glass panes; the windows won’t shut/open correctly; and locks won’t latch. The most widespread problem people see with old windows is if they feel extreme hot or cold pockets, or a draft, when standing directly in front of them. 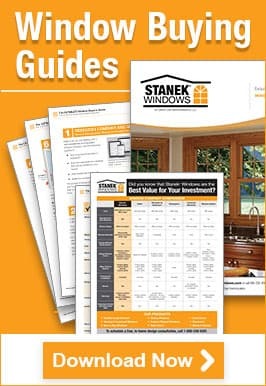 At Stanek®, we offer a variety of window styles & custom options to fit your home. The replacement windows company you choose should be able to provide you with their windows’ ENERGY-STAR® ratings. This rating guarantees that your window meets certain mandated guidelines regarding energy efficiency. 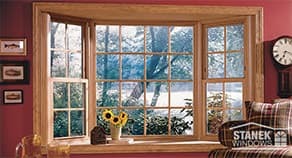 Vinyl windows are an energy-efficient option and can to decrease your heating and cooling costs. Quality window construction and expert installation are a must. You can also ask about the company’s custom window options, such as colors, hardware options and designer glass. Although they require an investment upfront, new vinyl replacement windows can improve the energy efficiency of your home and help to lower your monthly energy bills, saving you money in the long run. Premium vinyl replacement windows can also increase the safety of your home. At Stanek, premium vinyl replacement windows make your life easier, since they never need to be sanded, stained or painted, and are easy to clean. Energy-efficient replacement windows improve the overall environment of your home by keeping your space warmer during the winter months and cooler during the summer. Energy-efficient replacement windows with Low-E coating also offer UV protection, which can reduce the fading of your walls, carpet, flooring and furniture due to sunlight. New windows can improve your home’s curb appeal and can increase its value. 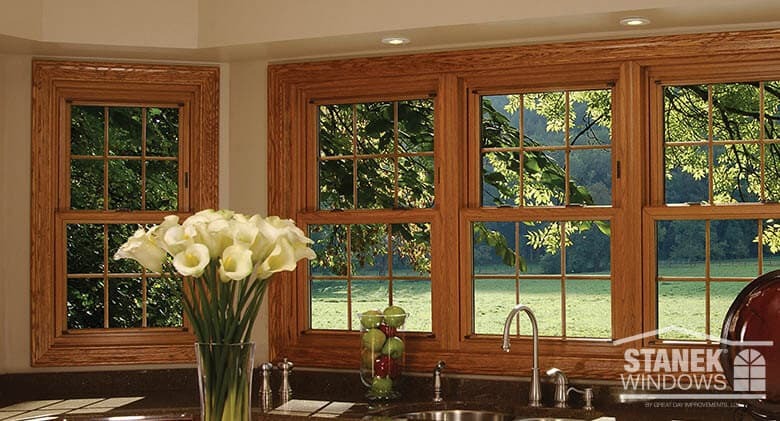 Stanek brand replacement windows are exquisitely crafted with care and expert precision specifically for your home. At Stanek Windows, not only do we install windows, but we design and manufacture them in our own production facility. Controlling the process from start to finish ensures the highest quality product for our customers. Our windows are built to last with FIBERMAX® reinforcement, which utilizes a composite structural enhancement material that is exclusive to Stanek brand windows. FIBERMAX® reinforcement increases the structural integrity of your window and reduces the thermal conductivity. All Stanek windows are independently tested and certified in an American Architectural Manufacturer’s Association (AAMA) accredited lab and carry NFRC (National Fenestration Rating Council) and ENERGY STAR® labels, which ensure your windows meet critical performance standards. We also offer expert installation. Choose Stanek brand replacement windows and you won’t be disappointed! Would you like to learn more about Stanek brand vinyl replacement windows? Schedule a free, in-home estimate, or give us a call at 1-800-230-8301 for more information. What's the Difference Between Garden Windows and Bay Windows?